Hauskaa lauantaita, tervetuloa Allsorts haasteen pariin! Tällä viikolla tausta tehdäänkin itse, valmista kuviopaperia ei saa käyttää. Mallikorttiini pohjan tein gelli plate -alustalla, pallosabluunalla ja akryyliväreillä. Hi; Happy Saturday, it's time for a new Allsorts Challenge! "No patterned paper" is the theme of lovely DT Tracy Mouse. Our sponsor is Craft Obsession. Background is done with gelli plate, dots stencil and acrylic colours. dots ribbon, lace, WOC flowers, pearls, Nuvo glitter drops. That's a real sweetie image Mervi and so pretty in the soft pinks. Oi kuinka kaunis ja hertainen. Onnea jo tässä vaiheessa 10 vuotis juhlaan!!! 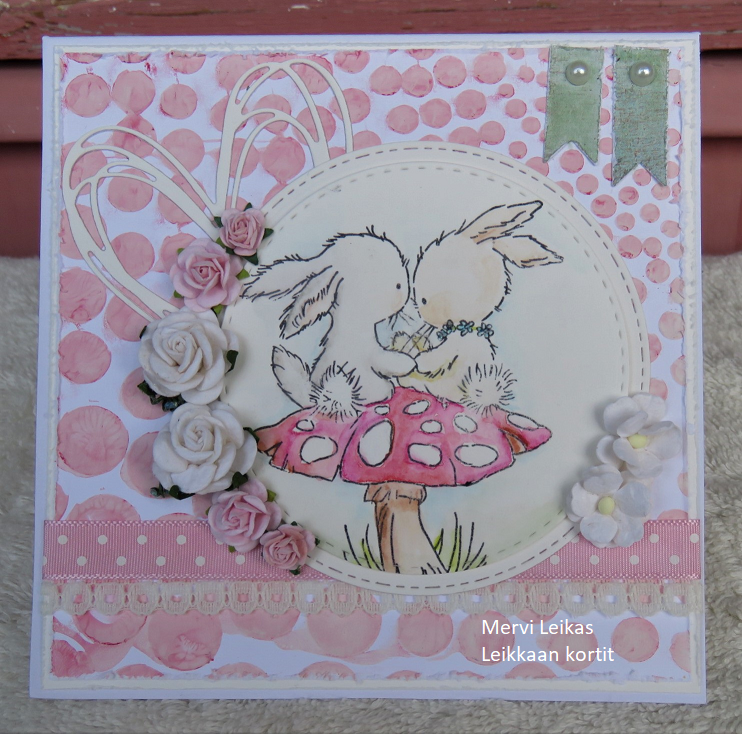 What a cute cute card Mervi and awesome background with the gelli plate. Sadly mine has been sitting unused! I need to watch some videos on how to use it properly so I can start using it again! 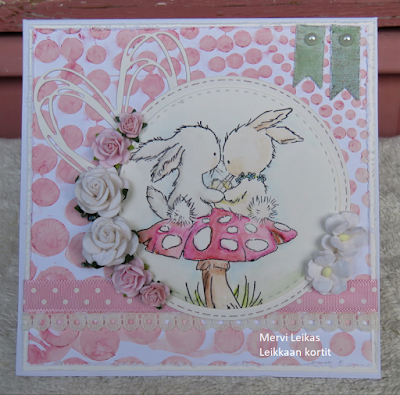 Loving that adorable image too, bunnies and mushrooms - some of my favorites! It's adorable. And bravo for making that so beautiful background! Really fabulous creation, love the background but not sure what a jelly plate is! Super sweet image and a really lovely touch with the green banners. Aivan suloinen kortti. Onnittelut blogisi synttäreistä jo näin etukäteen. Samaa vuosimallia on blogisi kuin on minunkin. This is wonderful Mervi, love your choice of image. Such a fabulous creation. I love all the layers and embellishments. 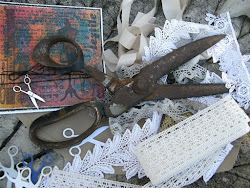 Thank you for sharing with us at Creative Knockouts. What a gorgeous pretty pink LOTV card you have made. It fits the Colour Crazy Challenge this week. Thank you for taking part and best wishes in the draw. Kym (Colour Crazy Challenge Design Team Member).